The sub-Rs 10,000 smartphone market is currently one of the most hotly contested segments in India and local and global players alike are trying their best to dominate it. 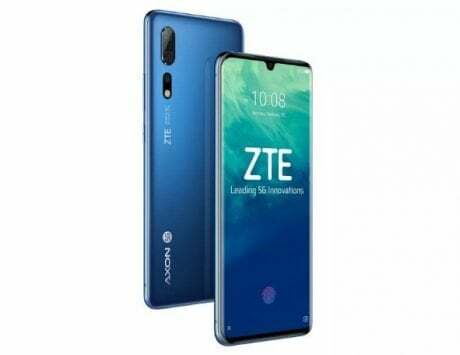 Earlier this year, Chinese smartphone maker ZTE entered the Indian market with a slew of devices and among them is the Blade G2, which falls in the said category. In a price range where it is imperative to strike a balance between performance and value for money, can the Blade G2 succeed? Read on to find out. When you look at the device for the first time, the words that are likely to come to your mind are ‘plain’ or ‘simple’. The device is completely black with little else in terms of colors and looks like something that would go well with a Batsuit. 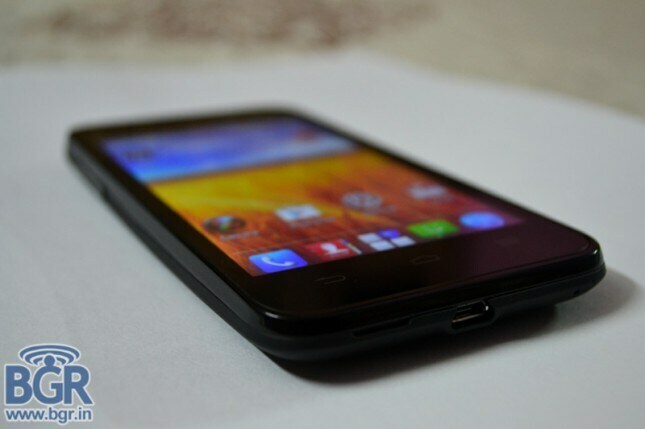 On the front is a 4.5-inch FWVGA display with capacitive buttons near the bottom and a VGA front camera. On the right top corner is the power button, the volume rocker on the left side and a microUSB port at the bottom. The front and the sides have been given a glossy plastic finish. Complementing the glossy front is the matte finished back, which houses a 5-megapixel camera along with a LED flash and a speaker grille near the bottom. The matte finish not only gives the device a slightly premium feel, but also ensures a good grip, especially when the palms are sweaty. Under the cover is a 2,000mAh battery, dual-SIM card slots and a microSD card slot. We start with the 4.5-inch display which supports only 480×854 pixels resolution, but manages to do a decent job. It may not have the sharpness of some higher-end phones, but color reproduction and brightness levels are good enough for daily use. Viewing angles too are okay and things are just about visible when viewed under direct sunlight. The screen is unfortunately a fingerprint magnet and we had to wipe it clean every time we switched off the display. The Blade G2 is powered by a quad-core Mediatek MTK6589 SoC clocked at 1.2GHz and paired with a PowerVR SGX544MP GPU and 512MB of RAM. 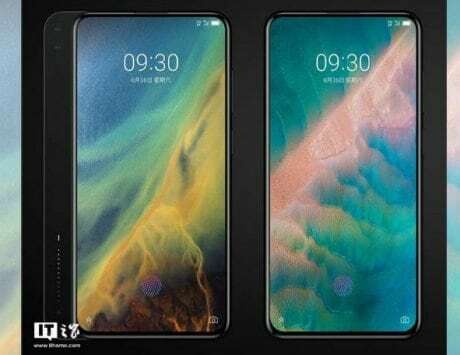 In terms of storage, on paper the device offers 4GB of phone memory, but in reality one will be able to use just about 2GB. Thankfully, there is a microSD card slot and memory can be expanded by up to 32GB. 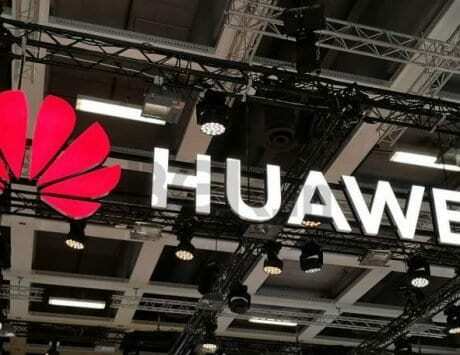 Talking of its photo-clicking abilities, the device features a 5-megapixel rear camera with auto-focus and LED flash and a VGA camera at the front. Considering its price range, the camera performs quite well especially outdoors. Indoors though, one will have to deal with quite a bit of noise even with the use of the LED flash. The front camera is below average at best and only good when clicking selfies outdoors. For people who like to click photos and share them on Facebook, Instagram or Twitter, the quality of the photos clicked will be satisfactory. The camera supports video recording at 720p but the quality is othing to write home about. 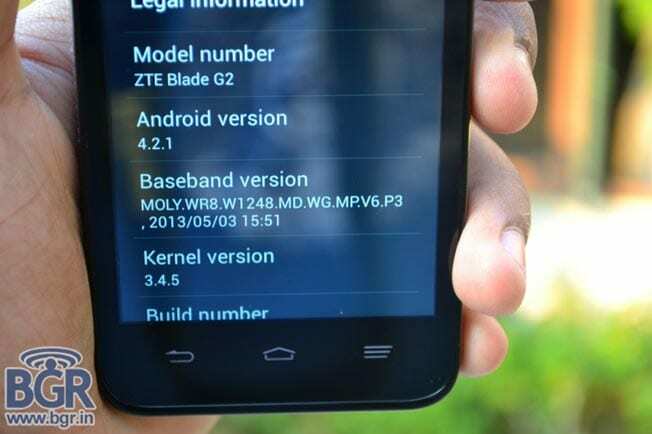 The Blade G2 runs on Android 4.2.1 Jelly Bean wrapped under ZTE’s UI. The interface is not too heavy and only includes minor tweaks like customized icons, a modified homescreen and a unique weather widget. 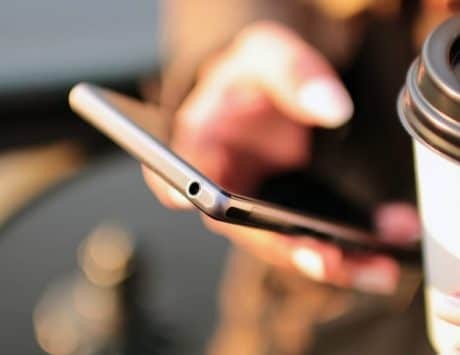 Google introduced the ability to launch apps directly from the lock screen by dragging one’s finger to a particular app. 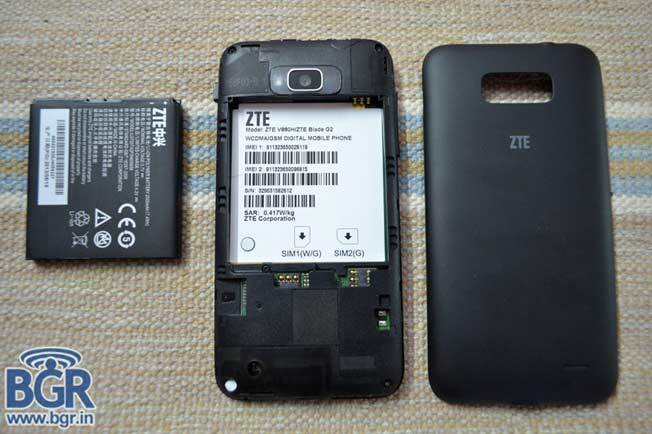 ZTE, for some reason, has modified it so one needs to press the lock button for a while to unlock the screen. There is no evident reason for this tweak and at times the amount of time it takes to unlock the screen can be a bit frustrating. That’s about all there is in terms of customization and the rest just feels like stock Android OS. 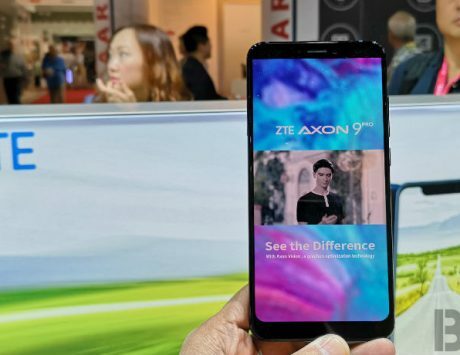 You still get five homescreens to customize and ZTE has preloaded apps like Facebook, Twitter, Google’s suite of apps, Kingsoft Office Suite and NQ Mobile Security. The simple tweaks to the UI means that the OS is, to a lot of extent, left untouched and performance is quite fluid. The phone performs smoothly most of the time, but due to the meager 512MB of RAM, it tends to struggle occasionally, especially when pushed hard. When using the phone continuously for long periods or switching between apps, we noticed some lag. The only way to get rid of the lag was to kill all the apps running in the background. This doesn’t mean that apps don’t run well. We extensively used apps like Chrome, Twitter, Facebook and played Subway Surfer, Angry Birds and Temple Run 2 and generally didn’t have much to complain about. The device’s battery life deserves a bit of praise. The 2,000mAh battery easily last us more than a day and we didn’t have to worry about carrying our charger everywhere. On medium usage that included around an hour and half of calls and WhatsApp, two to three hours of online browsing with Facebook and Twitter and all the while alternating between 3G and Wi-Fi, we were able to go through a day and half before charging the device again. We ramped up the usage to check the battery’s survival skills and it didn’t disappoint by lasting for just about an entire day. Heavy usage included about two hours of calling and WhatsApp, two to three hours of online browsing with Facebook and Twitter, had Google Analytics running in the background for about six hours when in office and also played games like Temple Run 2 and Subway Surfer for about an hour when commuting to office and back. Talking of the audio quality, notification and call/message alerts were loud enough to be heard when the phone was in the pocket. The quality of music played on the headphones (not the ones provided by ZTE) and the loud speakers were good enough. The in-call audio quality could have been better though. There were times while commuting to office when we could barely hear the other person over the sound of the train or bus. The person on the other side too had to strain a bit to hear us clearly. In home or office conditions though, there were no such problems. For people who are always on the move, this could prove to be a problem, but nothing that a decent pair of headsets won’t solve. 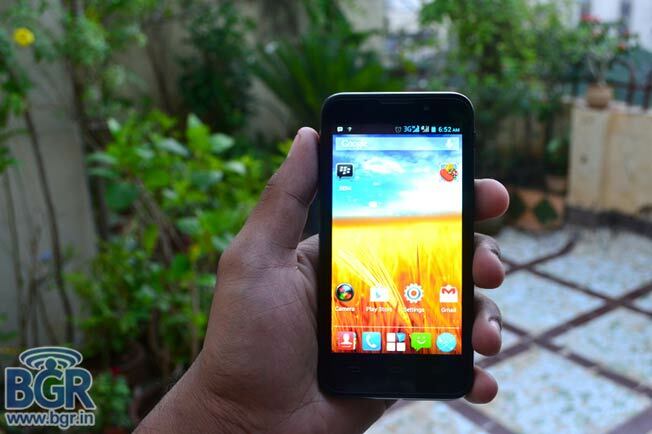 To sum up then, the ZTE Blade G2 is quite a good device considering its price tag. It does have a few negatives but there’s no hiding the fact that it does manage to provide a lot of positives under Rs 10,000. 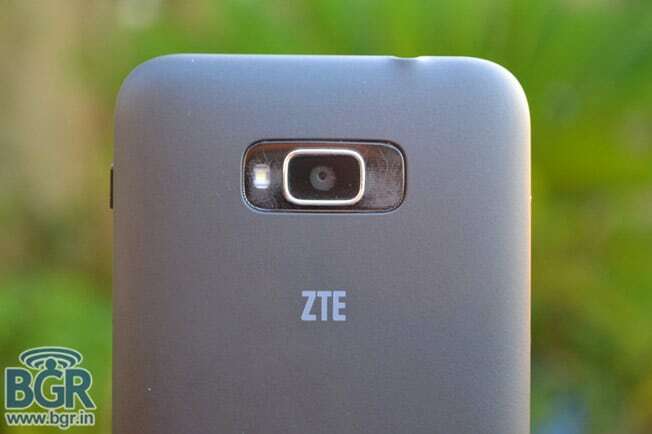 As mentioned at the beginning of the review, it is imperative that a company be able to strike a balance between performance and value for money, and ZTE has managed to do that to a lot of extent. 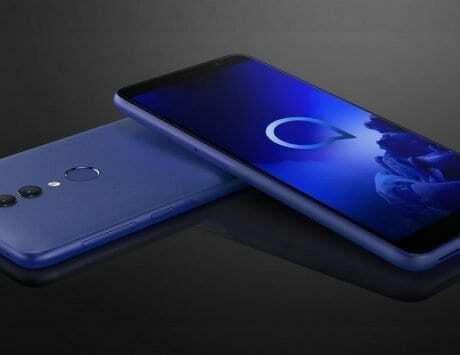 But it won’t be easy for the device to make its mark as it will have to compete against the likes of the Zen Ultrafone 701HD, Karbonn S1 Titanium, Micromax Canvas HD and Nokia Lumia 520 to name a few.